Frankenstein’s laboratory. A metronome. A garage. Only through the inventive and visionary brain of one remarkable man could these things come together to revolutionize medicine as we know it—Earl E. Bakken. Bakken graduated from the University of Minnesota in 1948, after serving as an airborne radar maintenance instructor during WWII, with a degree in electrical engineering and a minor in mathematics. He co-founded Medtronic in 1949 as a company that repaired and maintained medical equipment. It was in this capacity that Bakken was at the University in 1957, and, according to multiple sources, it was serendipity that he was the one C. Walton Lillehei asked for help to create a pacemaker that didn’t depend on a wall socket, alternating current and the unreliable power company. Serendipitous because Bakken went back to his garage in Fridley, took the plans from a metronome and delivered exactly what was needed: the world’s first portable, battery-powered pacemaker. According to Lillehei, “We put it in a dog one day and it worked; so we put it in a human the next day.” Bakken had been inspired early in life by a film about Frankenstein (The Modern Prometheus of Mary Shelley’s imagination) to think of life, electricity and reanimation as real possibilities for the future. At the time of his invention, one that continues to change the lives of heart patients everywhere, Bakken was just 33 years old. How many companies do you know that are still using their mission statement from the 1950s? Medtronic does, just as it was written by Bakken: “To contribute to human welfare by application of biomedical engineering in the research, design, manufacture, and sale of instruments or appliances that alleviate pain, restore health, and extend life." In the years to follow, Medtronic continued to pioneer improvements to pacemakers and to revolutionize the medical device industry. Driven by intense curiosity and a respect for research, Bakken developed the motto: “Ready, Fire, Aim!” to inspire Medtronic engineers and physicians to follow their instincts, trust serendipity and find creative ways to solve medical problems. Beyond his commercial success, what set Earl Bakken apart was his extraordinary commitment to the greater good of humanity. Although he was generous with his wealth, the true value he shared was his guidance, goodness of heart, lifelong dedication to his purpose and his vision of thousands of ways to make the world a better place. I have heard that when he visited the lab, he would ask each and every student about their work, and that his conversations with others were inspirational. It is a measure of his impact on this University that during his life he received almost every high honor we have to give. In 1988, he was awarded an honorary doctor of science degree, and in 2007 he received the first-ever honorary MD from the University. His impact on the Medical School has been profound. His support of our programs led to the Earl E. Bakken Center for Spirituality & Healing, the Earl E. Bakken Medical Devices Center, the Earl E. Bakken Surgical Device Symposium (just held on October 12), at various times there were Bakken Chairs and MD/PhD scholarships as well. He even donated books to the Owen H. Wangensteen Historical Library of Biology and Medicine, including a first edition of "De Fabrica," a medical text published in 1543 that was the first book to teach human anatomy and dissection. 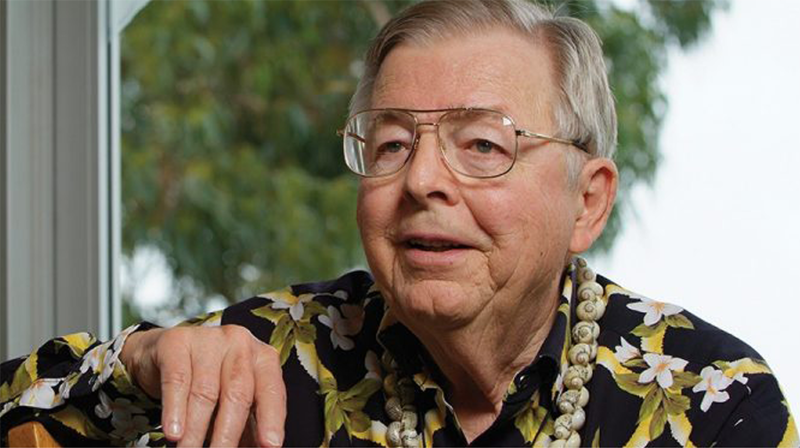 As you probably already know, Earl E. Bakken passed away yesterday. As we remember his legacy, his vision and his lifetime of achievement, I hope we can find inspiration in following his example, not only of research and patient care, but in being fearless about doing what we can to leave our world a better place.